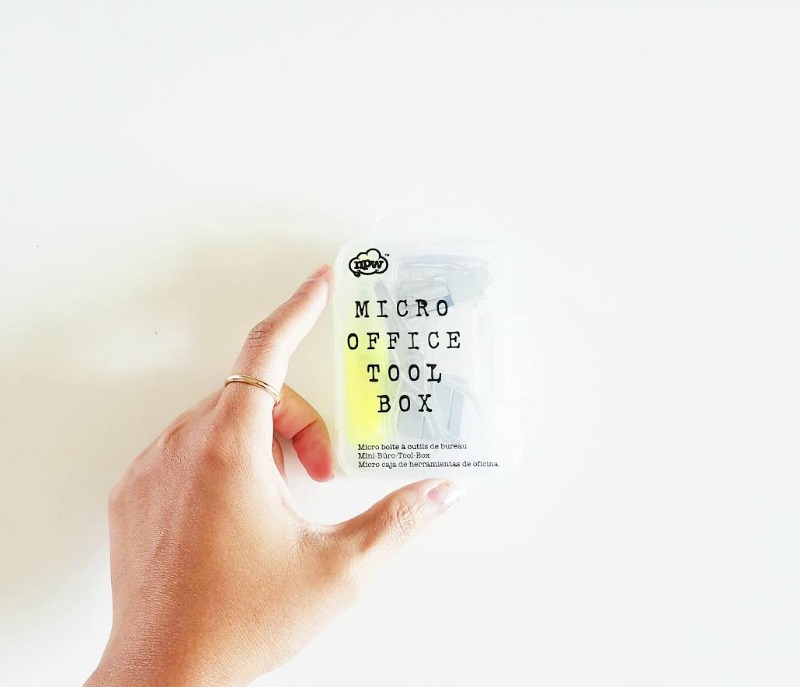 Check out this Micro Office Tool Box I came across at The Container Store. These are officially the tiniest office supply tools I currently own. And they work just fine! 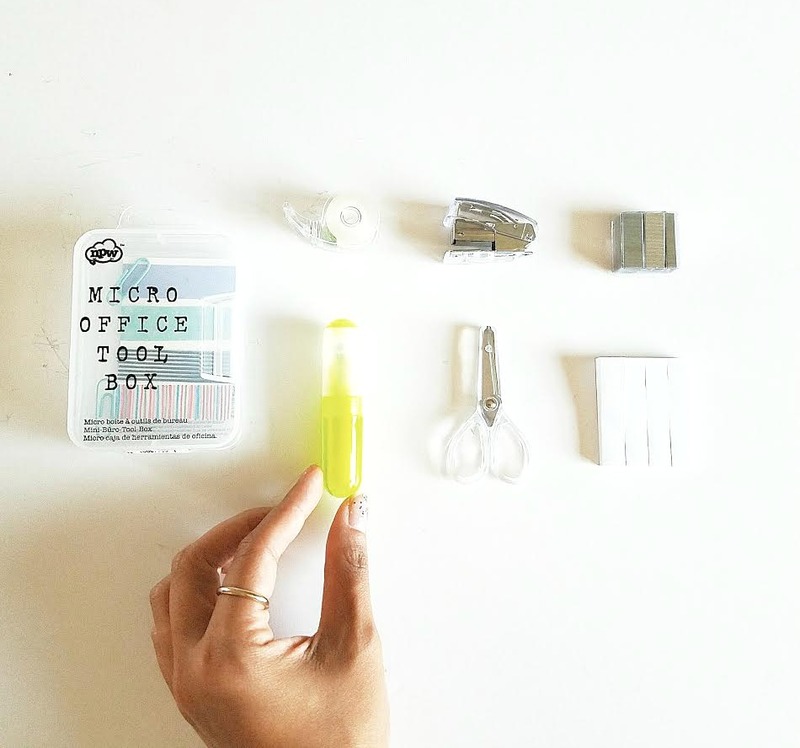 This little box is the perfect size to carry around on my next travel. Score. Here's an "unboxing" video I did sharing more of the contents. So cute! I had a tiny Hello Kitty box set just like this when I was a kid :) Didn't come with a highlighter, though!